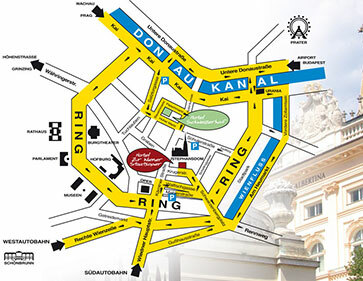 Our hotel enjoys a prime location in the first district of Vienna, the city centre. As our hotel enjoys a prime location in the first district of Vienna, the city centre, nearly all the notable Viennese sights are within walking distance. The hotel is situated off the famous Kärtnerstrasse, the main shopping street of Vienna in a pedestrian zone which starts in front of our building. 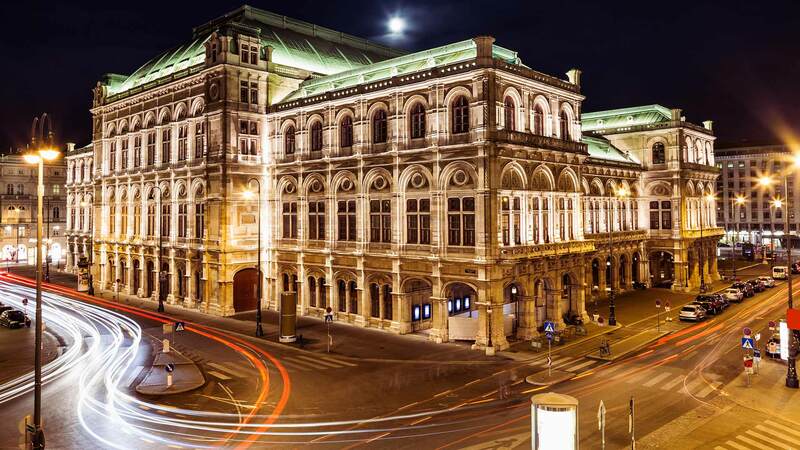 Our hotel is one minute to both the famous Vienna Opera, which makes us an ideal place for the opera lover, and the spectacular Albertina (museum) for the art lover. A five minutes´ walk takes you to the most famous landmark of Vienna, the Stephansdom (Saint Stephen´s Cathedral), the Wiener Hofburg (Vienna Hofburg Palace) and the Spanische Hofreitschule (The Spanish Riding School). We are two minutes from the metro station (U1, U2, U4) Karlsplatz.